VK-1 comes with 228 presets in the categories Bass, Bright Lead, Electro Bass, FX, Percussive Lead, Soft Lead, and Synthwave. The 50 Electro Bass and 50 Synthwave presets were created by experienced sound designer eXode. The synth excels at thick bass and rich lead sounds. At the heart of VK-1 are three adjustable wave oscillators. 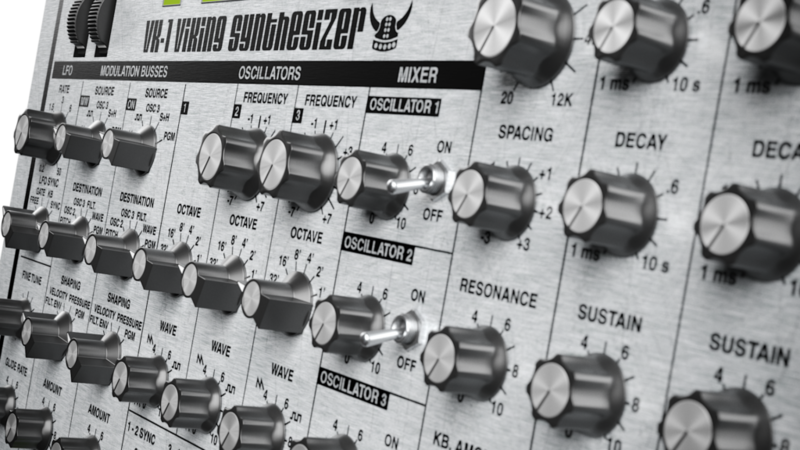 The continuously variable waveform knob gives the oscillators a unique sound that can’t be achieved with the fixed waveforms found in most synths. A noise oscillator provides three types of noise. Two modulation busses and an LFO provide flexible modulation capabilities. The filter is a classic transistor ladder filter modeled meticulously. Different drive modes are available for adding grit. The number of poles is adjustable for a wider range of filter sounds. The graphics of VK-1 have been completely redone with Retina support. Using experience gained over the past several years, the sound quality has been updated to sound more rich, smooth, and creamy. VK-1 is available as a free download. 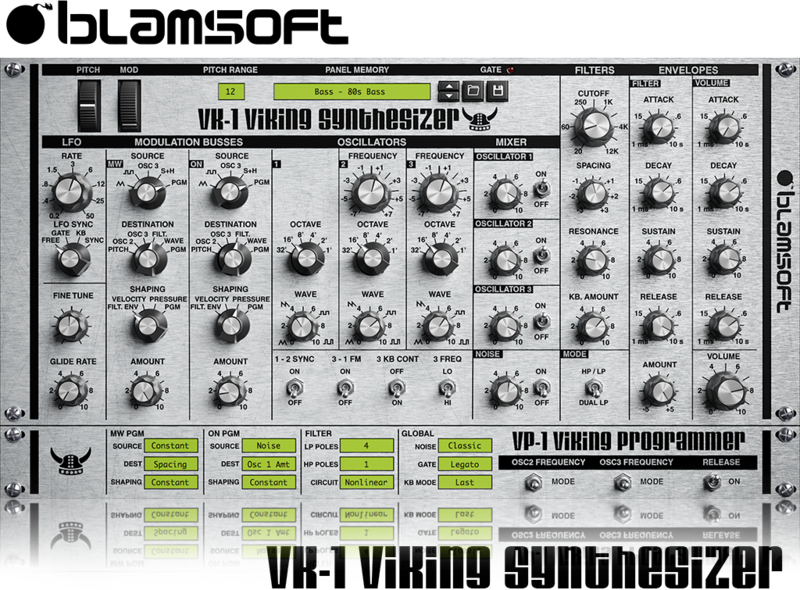 VK-1 VST is a VST2 plug-in compatible with macOS 10.11 or newer and 64 bit Windows XP or newer.